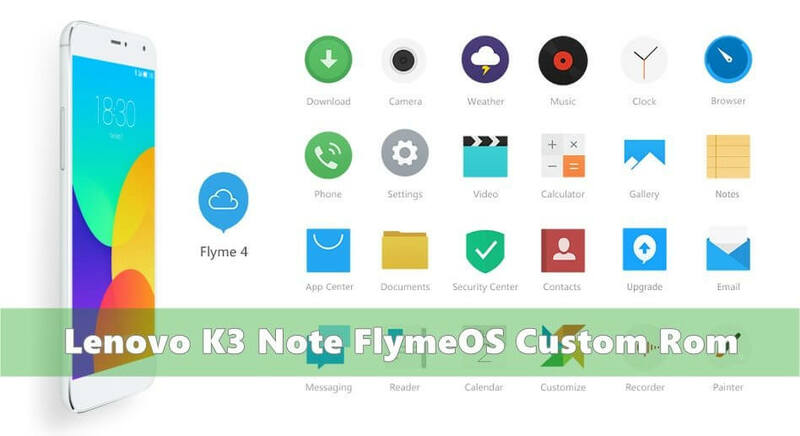 Welcome Lenovo K3 Note users, there is a good news that we have a custom ROM named FlymeOS for you. We hope you have already rooted your Lenovo K3 Note and installed CWM on it. FlymeOS is a very popular Android Custom Rom which enriches with lots of features and is boosted with high performance and stability. The user interface is very attractive and user-friendly which you will definitely love it. Lenovo K3 Note FlymeOS Custom ROM once installed on your device will make you forget the default VIBE UI which came on your device. DISCLAIMER : In no means we are responsible if you brick your phone or your SD card dies or your phone behaves abnormally. It is your sole and your own responsibility toinstall the custom rom on your phone. If you’re unaware of custom roms and its bugs then please do not go any further. PS: As the ROM is default by the Chinese language, please do not panic. You can download Google Keyboard from play store and set it as your default keyboard. Any bugs ?… and what about the benchmarks? and does the notification light works ?